The storyline is very impressive. 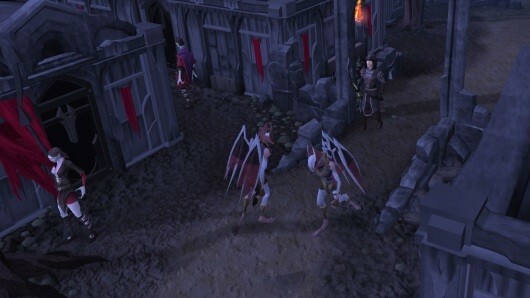 As the second quest taking place in the Sixth age, the Death of Chivalry features the Sir Owen and Saradomin, these two guys are the ones you must follow in the game, they will guide you from the beginning to the end in the quest. In addition to this, players can also enjoy some other awesome storyline through the gameplay, like the Final Fight and the Ritual. I bet the hard choices you have to make in the quest impressed you a lot. When the Death of Chivalry was about to release, the developers behind the scene revealed that players have to face some tough choices before the quest is completed. What is the most choice for you to make until now? Do you struggle with these unwelcome choices? Rewards of this quest are gorgeous, which include 3 Quest Points, 250XP Combat Lamp, 4 Knight Titles, Sir Owen’s Shield and etc. What’s more, if you are a paying member, you can get Templar outfit, Gilded cabbage and 60.000XP ancient prayer lamp as the additional rewards. I think the rich awards are a very important factor to attract players.